Nisan is the first of the twelve months of the Jewish calendar. “This month [the month of Nisan] shall be for you the first of the months” (Exodus 12:2). The month of Nisan begins, the spring season. Traditionally the three months of Nisan, Iyar, and Sivan are considered the spring months. This is probably due to the fact that they include the 2 harvest festivals or Hagim of Pesah and Shavuot tied together by the string of Omer counting which begins on the second day of Pesah and culminates on Shavuot. Tradition says that these months are attached to the three tribes of the camp of Judah which are Judah, Issachar and Zebulun. They encamped on the eastern side of the Ohel Mo’ed. In the Torah, Deut. 16.1, Nisan is referred to as “the spring month” (Hodesh Ha’Aviv). Nisan is “the month of the redemption.” Talmud teaches: “In Nisan our forefathers were redeemed from Egypt and in Nisan we will be redeemed” (Tractate Rosh Hashanah 11a). And thus the major holiday during Nisan, in the middle of Nisan, is Pesah. The name Nisan comes from the word Nes meaning miracle. Pesah falls within Nisan and is filled with nissim, miracles. Nisan is the month of nissim. Our sages teach us that “with the letter ‘hay’ G created this world,” (Talmud, Menachot 49b). Nisan is the New Year for the world, the new year of creation. The letter Hay is a breath letter. To pronounce the Hay simply breathe out from your mouth. As G breathed life into Adam and Havah, so too was all of creation birthed with a breath. The exhale of G is the inhale of the universe. As we are partners in creation, when we breathe out, we are breathing into the universe. Our connection to creation, our connection to time and space is as primordial and as powerful as a breath. Mazal: taleh (Aries the lamb/ram). The taleh reminds us of the Pesah sacrifice and the first supper (as it were) before we stormed out of Egypt. 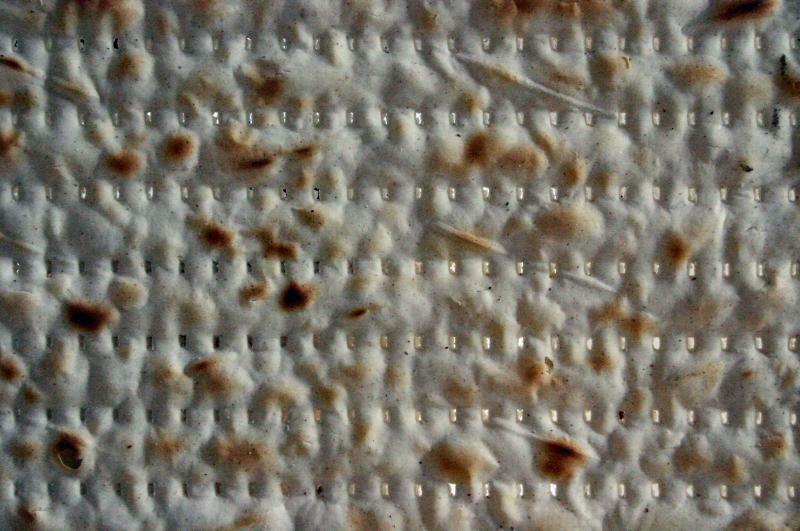 The evening before we began the march out of Egypt we had a special meal of lamb and Matzah. The ram of Nisan is the wake up call to get going but to move compassionately. When one hears the bleating of sheep, the sound has the power to reach in and excite the Sefirah of Hesed, of compassion. The call of Pesah the holiday of nissim, of miracles, the holiday of Nisan, is the call to move compassionately in our world. Judah is the king (first among equals). His name (he was the fourth son of Jacob) means ‘to give thanks,’ which is appropriate for the month of Nisan. The king rules his people with his words, as it is said “for the word of the king is his rule.” The month of Nisan is not only the New Year of the world it is “the new year for kings” (Mishnah Rosh Hashanah 1:1). We, who live on this planet, live as kings and queens. We mine and build and transform. But our planet will soon revolt against us if we do not renew our relationship as compassionate caregivers rather than ruthless despots. Pesah, the Nisan holiday, is the holiday of telling and retelling. It is the holiday of the “Tell Tale Heart.” The Mitzvah is to tell the story heartfully. As it is written in our Haggadah “the more one tells of the Exodus from Egypt, the more is he praiseworthy.” The heartful telling of the tale is the most powerful Mitzvah (of speech) of any holiday. We refer to the telling as ‘magid’ and it is the fifth of fifteen steps in the Seder and the longest. Remember the letter that goes with Nisan is hay which has the numerical value of 5. The first word in the 5th step begins with Hay, “Ha Lahma Anyah,” which some translate as “this is the bread of affliction.” But it could also mean; “this bread contains answers.” That breath letter, the 5th letter, begins creation, begins the telling of the story of the universe and the story of a people leaving the narrow confines and entering a wilderness of experience and spirit. The redemption from Egypt can symbolize “freedom of speech.” Slaves don’t even have the right to speak for themselves. Egypt was the silent pain of narrowness. The Midbar, the wilderness was the place of words that open up worlds. Indeed Midbar means, not only wilderness but also speech. In Judges we hear “walkers on the way, speak”. Torah is our sacred guide. Talking Torah leads to walking Torah, that is living Torah. Mysteries are revealed. The Shema says that we should talk Torah when we are at home and as we walk on the way. Nisan comes to remind us not just to talk the talk but also to walk the walk. How wonderful that you are sensitive to ‘the moral high ground’ that is part of our path. We, who read Torah with a modern eye and a sensitive heart, are disturbed by the practice of ‘Jihad’ that is, the destruction of the blood lineage of the enemy. Yes it was the practice of the time. Yes, Shaul is chastised (Shmuel 15) and loses all when he does not follow the ‘word of G’ and slaughter Agag. And yet it troubles us. How many times in TaNaCh are we upset by the unsettling acts of our ancestors? We see those acts with our modern eye and our sensitive heart is unsettled. But in this case, we find another lesson. Achashverosh gives permission to the Jews, through royal edict, to kill men, women and children and to take their spoils (Ester 8:11). But is that what happens? If we look at the text we find that there is no mention of the slaughter of innocents. In Ester 9:6 and again in Ester 9:15 the text points out that the Jews killed armed men bent on their destruction. These were the men who raised arms against our people. There is no mention of the killing of children or women or non-combatants. In other instances, when a slaughter is mentioned, it will specifically say that women and children were killed along with the men. That is missing here. Of course, one may assume that we, like others of the day, would have committed ‘Jihad’. But that there is no mention of such a slaughter gives us the option to believe that we did not slaughter the non-combatants. Further, it states that we did not touch the spoils, as was our right by royal edict. Since we were given the right to do both, slaughter the lineage and take the spoil; and since it states that we did not take the spoil, can we not assume that we also did not slaughter the innocents, the women and children. Furthermore, when it comes to the sons of Haman, it specifically states that they were slaughtered; the silence regarding the slaughter of children of our enemies speaks even louder. We are taught that this Megillah is a story of ‘Nistar’, the hidden. G is not mentioned. We say that G is ‘Nistar’ in the story. Here is where we find G, in the silence regarding the destruction of the lineage of our enemies. In Ester 9:15 we find an extra Yud in Yehudim. It could mean that a pair of Jews defended all against the hate-filled horde (Yehudayim, as in Yadayim, a pair of hands), and that might be a fun Purim play. Or we might handle the hint on a higher level. That little extra Yud is a pointer, a Yad that G is hidden in the story and is revealed in our restraint, our moderation, our refusal to destroy the innocent with the wicked. My drash, my ‘take’ on the events goes like this: Achaverosh gives permission via royal seal, to slaughter the enemy and his lineage and take all that was his. And yet the Jewish people use restraint. Yes, we fight back and yes, we defend our lives. But that is where we stop. We do not kill the children of our enemies, though it was the custom of the day. We do not take the spoil of our enemies, though that was our right. And right after that statement of restraint, we read of the great celebrations. We do not celebrate the fall of enemies, symbolized by our noted refusal to take in the spoils of war. We celebrate our survival from destruction. We celebrate the moral high ground. Today, when we exclaim that we should celebrate (and here we should remember what the RaMBaM states; that we do not need artificial stimulants to reach the heights) with such intensity that we cannot differentiate between the phrases: “Blessed is Mordechai” and “Cursed be Haman,” it is not the blurring of right and wrong that we celebrate. It is a celebration of moderation. The extremes of Mordechai and Haman are blurred. Whether genocide has its genesis in xenophobia or in zealotry, the result is the same. And that is not our path. Our path weaves between the weal and the woe of life. Our path weaves together tradition and modernity, faith and fact, the timely and the timeless. Our path weaves between the extremes, weaving together a tapestry of sanctity. • a part of the body that correspond to it. Adar is the twelfth month of the Jewish calendar. Adar is the month of good fortune. There is a saying: Mishenichnas Adar marbim besimcha. “When Adar enters, our joy increases” (Ta’anit 29a). The only holiday in Adar (excluding, of course, Shabbat) is Purim. The name of the holiday has to do with how Haman decided the day on which he would slaughter the Jews. And every year we celebrate the turning of the tables on the hatred and ego and evil the Haman represents. We increase joy. “When Adar enters we increase in joy.” We end the Jewish year in joy. We begin the Jewish year in joy. Pesah, the first holiday of the year celebrates freedom and rebirth and abundance. Purim celebrates relief and release from fear and xenophobia. And in our joy we put moderation aside and don the giddy excess of oppression ended. “Joy breaks through all barriers.” The joyous time at the end of the year is wedged into the beginning of the next year. There is a disagreement regarding the origin of the letter Kuf. Some say that, as the name implies it was a picture of a monkey. Others say that the picture was of a face. I wonder if that was why my father’s nickname for me was ‘monkey face’. I am sure that he was blessing me that I should live for 100 years for Kuf has the numerical value of one hundred. Or maybe he used it as a humorous form of endearment. Kuf becomes the symbol of laughter in the month of Adar. In accordance with the idiom “as a monkey in the face of man,” the kuf also symbolizes masquerade. And on Purim we hide behind masks and we are not alone. In the Purim story of Megilat Esther, we do not find G mentioned even once. G hides in the story of Purim requiring us to seek G. In this cosmic game of hide and seek we grow from the game. On Purim we reach a higher level as we seek the existential hiddeness of G in our lives. In Kabbalah, the name Naftali is read (as two words): nofet li, “sweetness to me.” The mitzvah on Purim is to reach a high level of joy as our sages have said (and been misinterpreted by so many): “one is obligated on Purim to become ‘sweet’, until he is unable to tell the difference between the words; ‘cursed be Haman’ and ‘blessed be Mordechai. '” In Gematria those two phrases each equal 502. In the days of Mashiah, evil will fall away and the concept of differentiation between good and evil will lose all meaning. Life will be simple and sweet. Laughter is the best medicine we are taught. Sarah was barren for ninety years. When she is informed that she will give birth, she laughs. The word for being fruitful, as in ‘be fruitful and multiply’ is Pru a metathesis of Pur the singular of Purim. Purim is a time for us to become pregnant with laughter and joy. Part of the body: spleen (techol). Our sages have written; “the spleen laughs.” A paradox at best since for millennia the spleen was considered the seat of the ‘black humor,’ the source of depression and despair. We could simply say that ‘black humor’ refers to the types of jokes that we share on Purim. And to that end “black humor” in Hebrew is “marah shechorah”. Metahesize the letters and it spells “hirhur sameach” “a happy thought!” And maybe that is the great lesson of Purim. We turn a frown upside down.